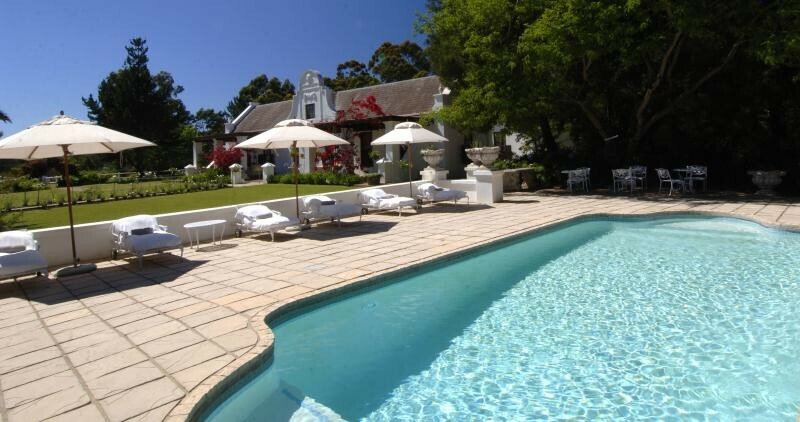 This gracious Cape Dutch homestead is situated on a 24-acre estate, offering mountain views, wide open spaces and a secluded swimming pool. The high-ceilinged elegantly decorated rooms convey a feeling of tranquillity and include cushioned comfort, air-conditioning, percale linen and quality toiletries. Perfectly positioned to explore the Garden Route, from the Wilderness to the Tsitsikamma forests. Superb breakfasts and convivial gourmet dinners, specialising in seafood and game dishes, are served in the Colonial dining rooms or the cosy wine cellar. At night, courtyards and verandas with blazing braziers and the intimate cognac and cigar lounge create a truly South African experience.Explore stunning Plettenberg Bay (8km) or the charming town of Knysna (20km).